The Oregon coastline is a notoriously rough place for small craft with few protected bays and harbors to escape the pounding surf. There are a few though. This day we decided to explore a protected place called Netarts Bay. I’s just a few miles south of the town of Tillamook. What a glorious Autumn day! We arrived and immediately set out to find a good launching spot. One was found just inside the mouth of the bay and since the tide was just beginning to ebb and a strong outbound current was building, we decided to work against the current into the bay instead of heading out to the mouth. Tidal rips can be amazingly strong here in the Pacific Northwest and a thorough respect for them is essential for safe navigation. We are always hoping for good wind and today looked perfect. 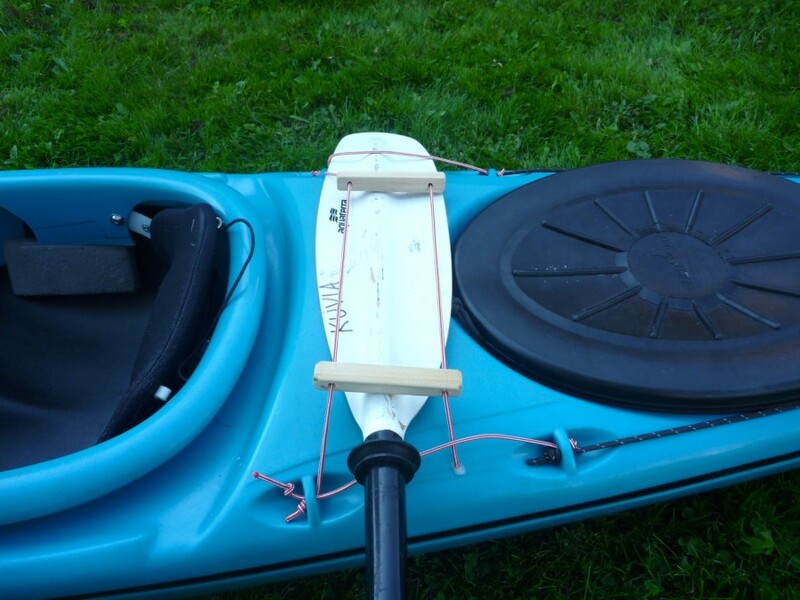 But, as luck would have it, as soon as the boats were slid into the water the breeze died off almost completely, Oh well.. We always have the paddle. 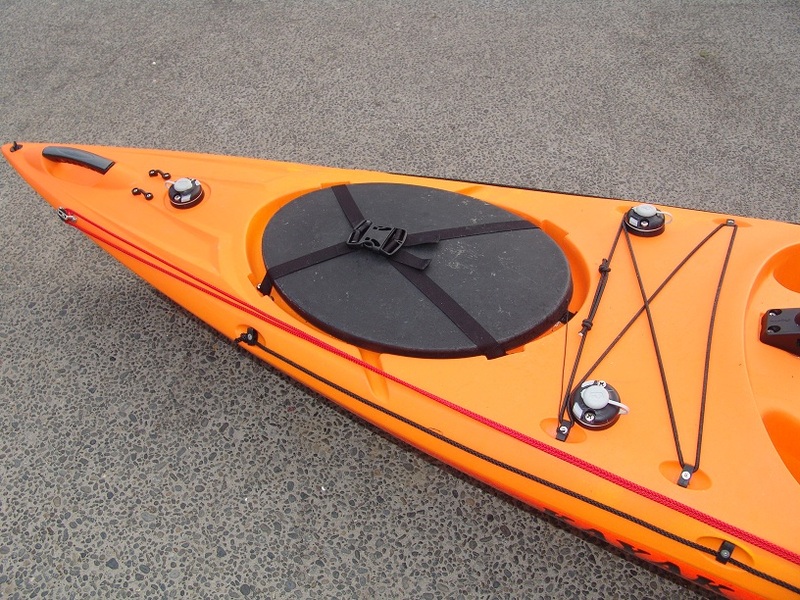 Actually, we really love paddling, especially when the water is flat calm and has a mirror finish on it. 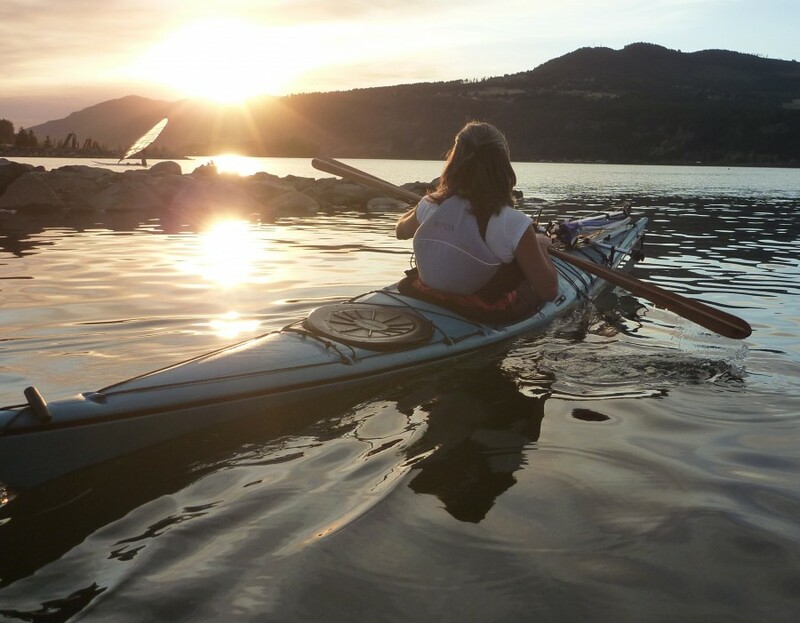 Paddle-sailing just has a special place in our hearts. The boats glided silently in the clear water. Scallops could be seen on the bottom and occasionally small fish spooked from the gently swaying eel grass beds as we passed overhead. A variety of diving ducks and sea lions performed their disappearing acts around us and all was quiet except for a distant rumble of surf and the occasional call of a gull. It was truly a delightful afternoon and we are happy to share it with you. Hope you enjoy the video. 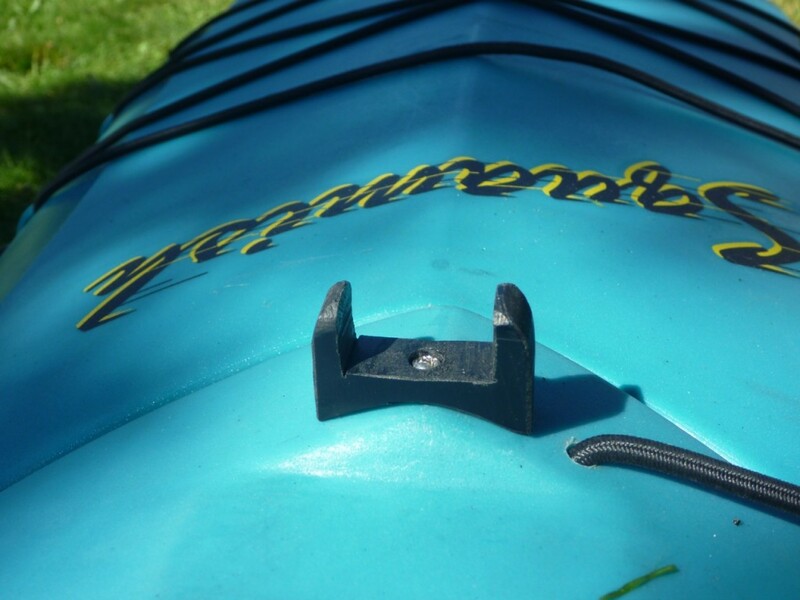 Several savvy paddle-sailors are utilizing marine rail mount and accessory mount hardware to attach their Kayaksailors. Some of the notable features of these mounts are that they can be found in many marine stores, offer a convenient quick release option, and are designed to withstand the rigors of the marine environment. Quick release pins make for easy removal. 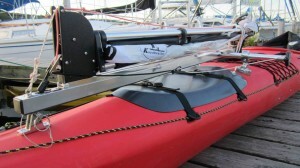 The mount raises the rig up for convenient access to the storage hatch. Here is a view of the mounts without the rig. Care should always be taken when drilling into the bottom of the main body tube. It’s important to avoid hitting the thru hull pulley or the mast car bungee with the drill bit. The forward mount can often be positioned farther aft to avoid the pulley and a drill bit spacer can be utilized to limit the drill bit penetration. 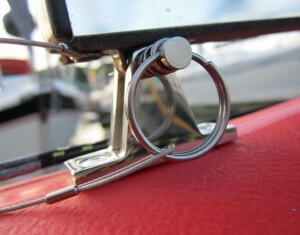 Below is a good example of a marine accessory mount. 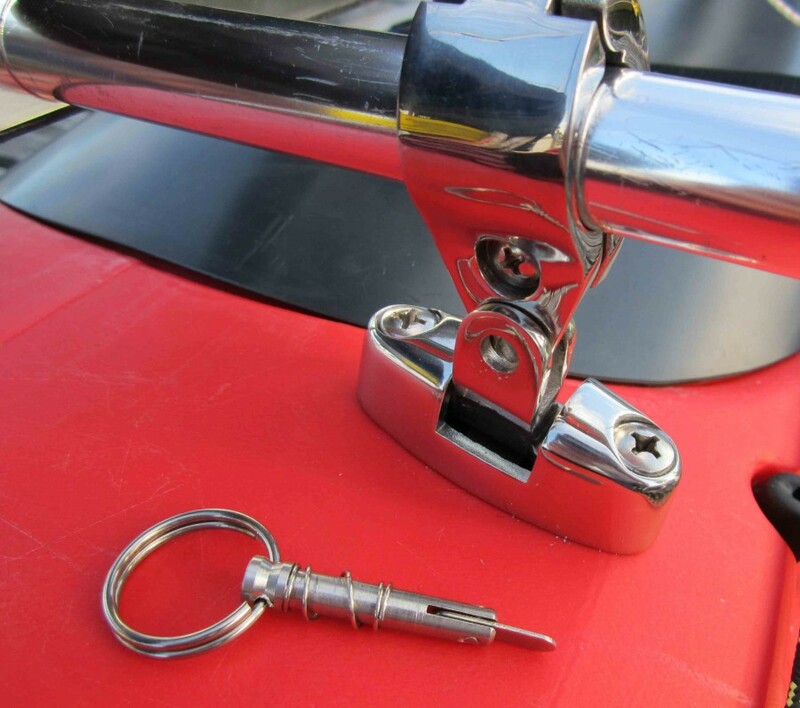 These are often used to attach fishing rod holders and electronic equipment to boats. 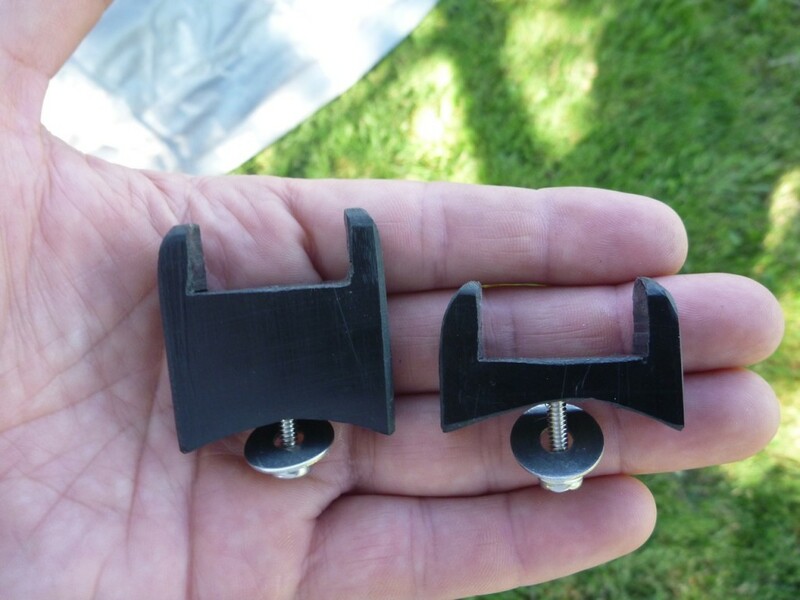 Trevor Lowe, owner of Yakattack NZ Ltd. in Auckland, New Zealand shares these photos of his personal boat outfitted with marine accessory mounts from Railblaza. 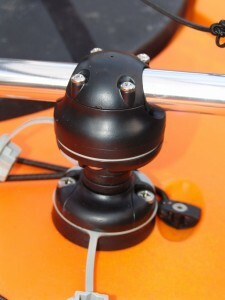 Here is a view of the cross tube mount. For the front he added an aluminum channel for the main body tube to rest in. and also has a clean look when removed. 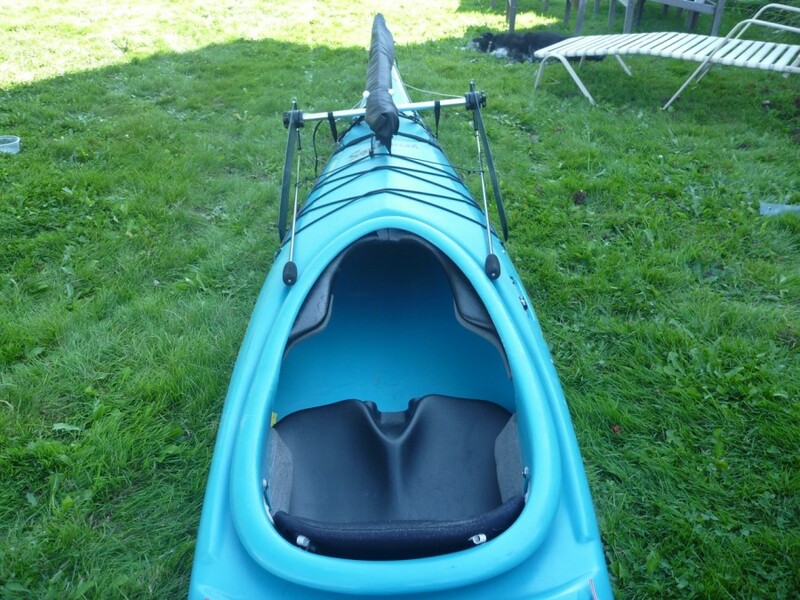 If you have any photos of your own Kayaksailor mount that you would like to share, please send them! Having a destination or goal and holding a course to reach it is an essential part of sailing as well as an essential part of navigating our own lives. If man does not know what port he is steering for, no wind is favorable to him. This quote obviously speaks of the benefits of having goals in life, but part of the significance and power of this eloquence is that it is based on an aspect of sailing reality. If sailors haphazardly change the direction of their craft, the wind always appears to be coming from different angles, and therefore the sails are always in the wrong state of trim. This requires maddening sail trim adjustments and can make it appear to the poor helmsman that the wind is always working against them. The idea of having a destination and choosing a course to get there is a simple one, but to many novices at the helm, a myriad of distractions make it easy to lose focus of the intended direction of travel. Wind gusts, currents, boat traffic, among others can often be happening simultaneously and require extra focus. Not only is it important to have a destination goal but one often needs several sub-destination goals to get there. Sailing to a windward destination may require several close reaches on different tacks to reach the desired destination. Each of these tacks requires a different course to be held. An ideal destination or goal should be something fixed, like a house on shore, or an anchored buoy. It’s easier to steer and trim sails while one is traveling towards a non-moving target. Destination goals should also be realistic and within reach, no pun intended. As in life, courses often need to be adjusted on-the-fly – winds shift, tides change, storms occur, etc. Skilled sailors are able to make smart rapid course adjustment decisions easily. For example, they will instantly recognize a wind shift and use it to their advantage to bring them to a windward destination by either changing tacks or by using the shift to allow them to point closer to their destination. Adapting to change is part of the fun dynamic nature of sailing. Destinations and courses are important keys to sailing and to living life, but to people who truly enjoy both, the real joy comes not from the reaching of the destination, but from the process of traveling to it. So, keeping that in mind, let’s all get out there, set a course and have some fun! I just want to share with you this little video we put together that shows how nicely Patti’s new boat sails. 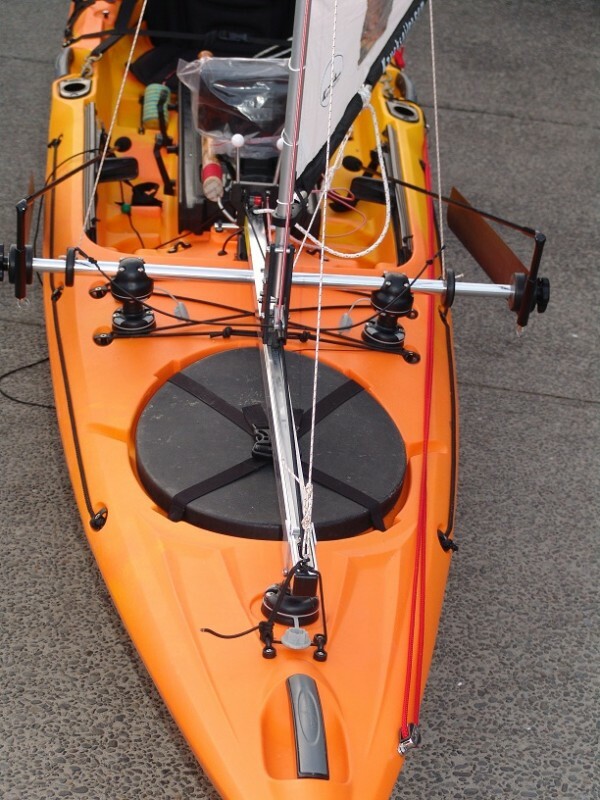 The footage was taken on the Columbia River at our local sailing site in 5-12 knots of wind. It truly was a beautiful evening for a paddle-sail! Hope you enjoy. 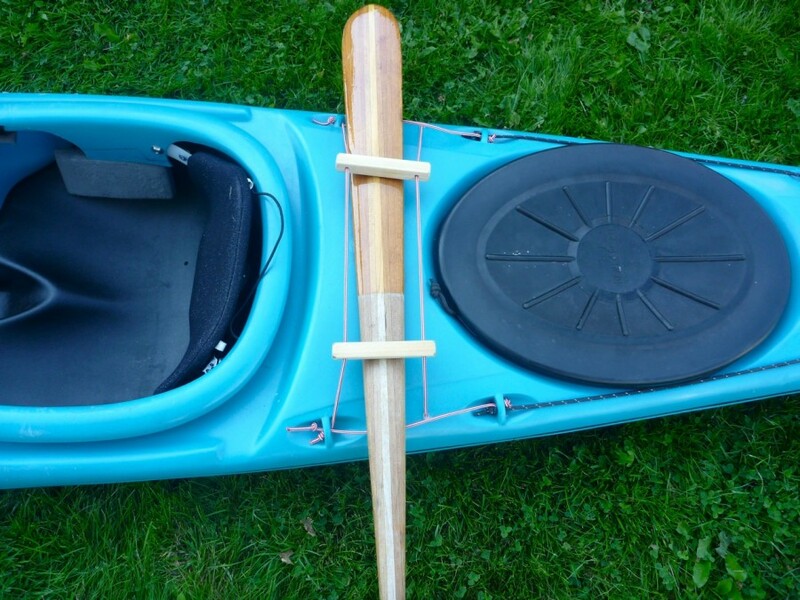 Every now and again we all come across a really nice boat that someone is selling for a song. We found ourselves in this situation the other day and, like most boat junkies, couldn’t let this one go. 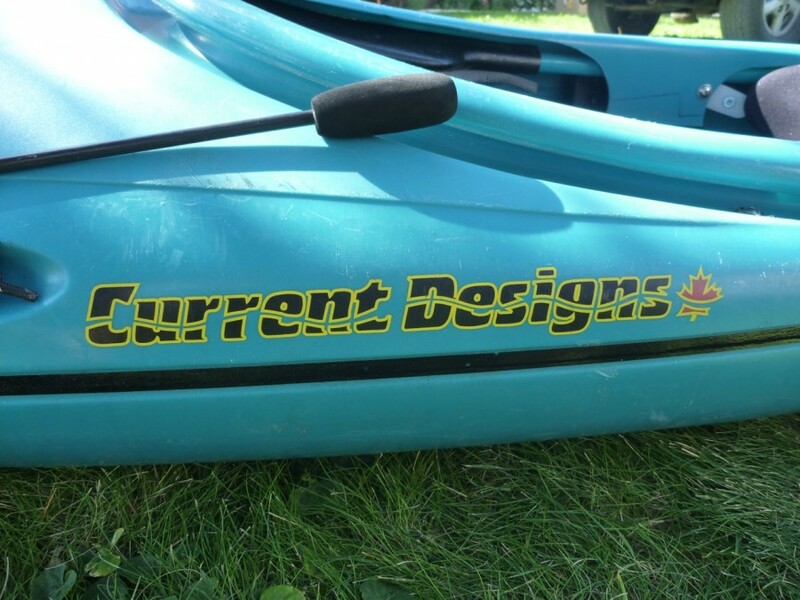 This gem is an older (pre 2004) Current Designs Squamish Touring boat. 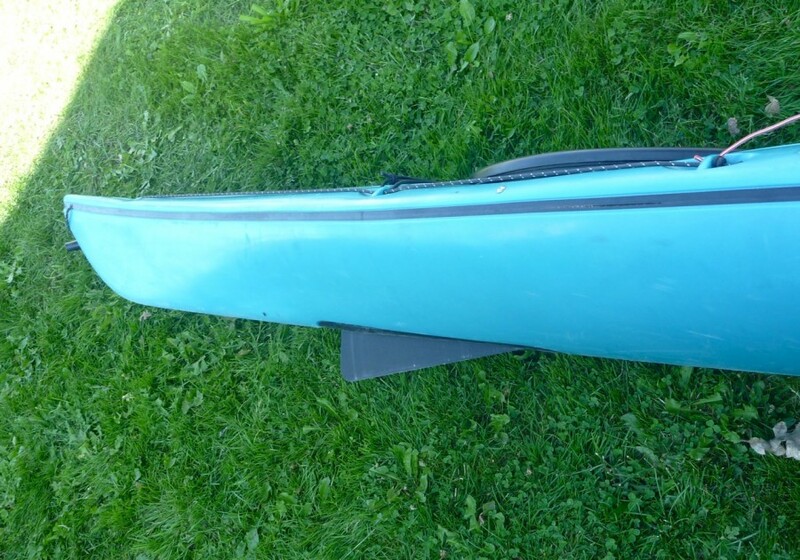 She is in excellent condition and has a nice looking hull shape . 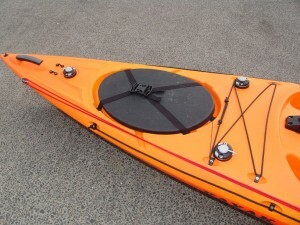 Basically she is a smaller British style boat with soft chines, full rocker and a retractable skeg. Because she is roto molded she is a bit heavy compared to our skin-on-frame boats. Durability certainly won’t be an issue. She’ll make a fun rough water boat and a lively swell rider. We brought her home and immediately started outfitting. Of course the first order of business was to mount the sail! 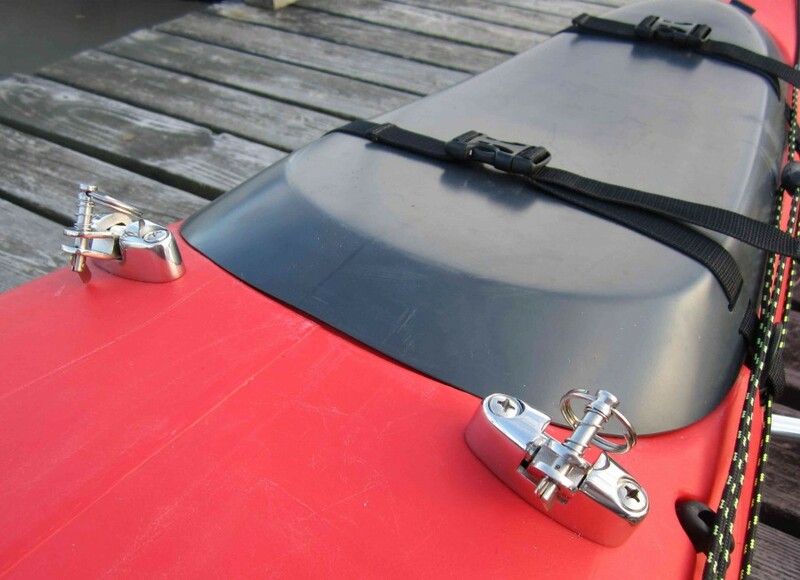 Because this boat has moderate amount of foredeck sheer, I decided to support the underside of the main body tube with a pair of minimalist channel blocks that attach to the foredeck with small stainless machine screws backed by washers and nuts. They were easy to make and look good on the boat. 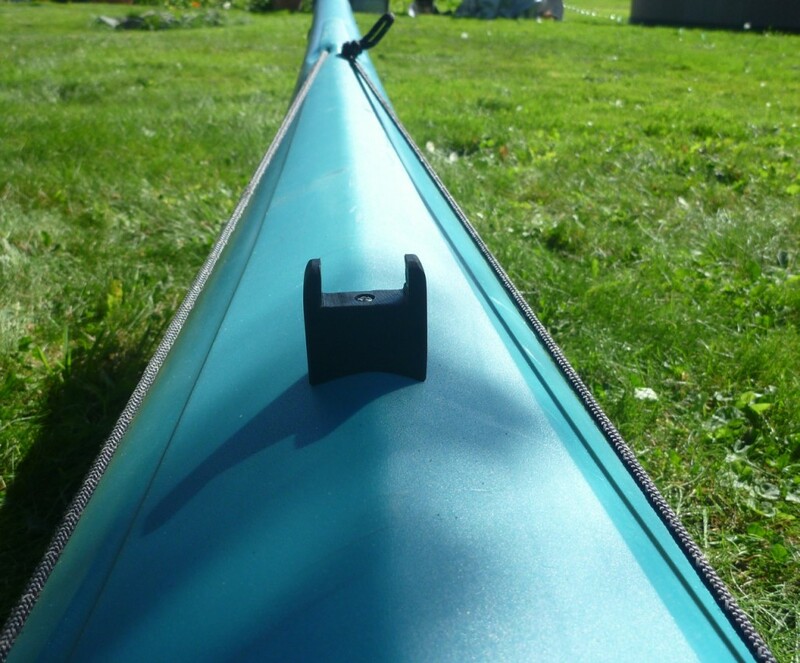 Not only do these micro blocks support the underside of the rig, but they also allow the main body tube to be slid fore and aft so the rig position can be changed depending on the reach of the paddler. 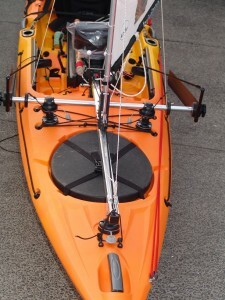 The other nice thing about this system is that since the front of the rig is held in place by the mount, attaching eyes traps to the bow was not necessary. 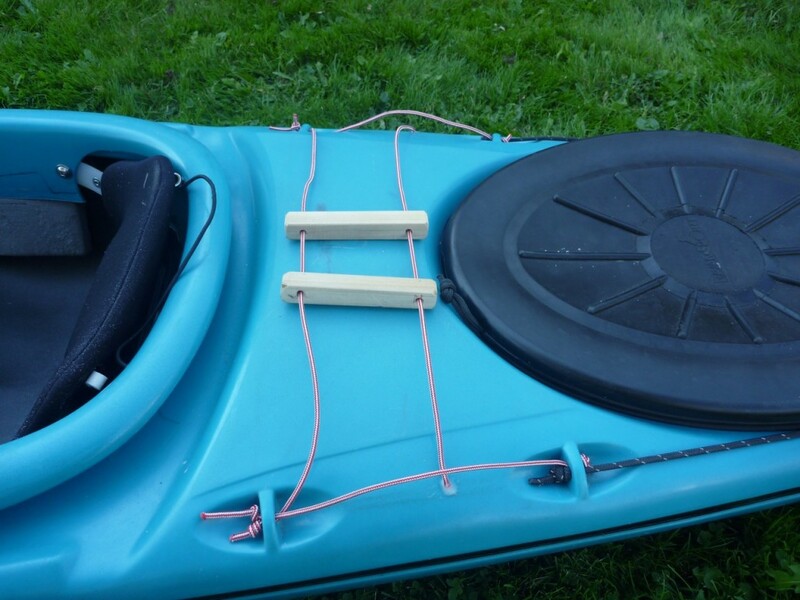 Only the eye straps located under the cross tube were needed to hold the rig down. This also makes it easier to put the sail cover on the rig, an added bonus. In the evening we happily slid the boat into the water. Even though there wasn’t much of a breeze, we were able to see how nicely the boat performed in light air. 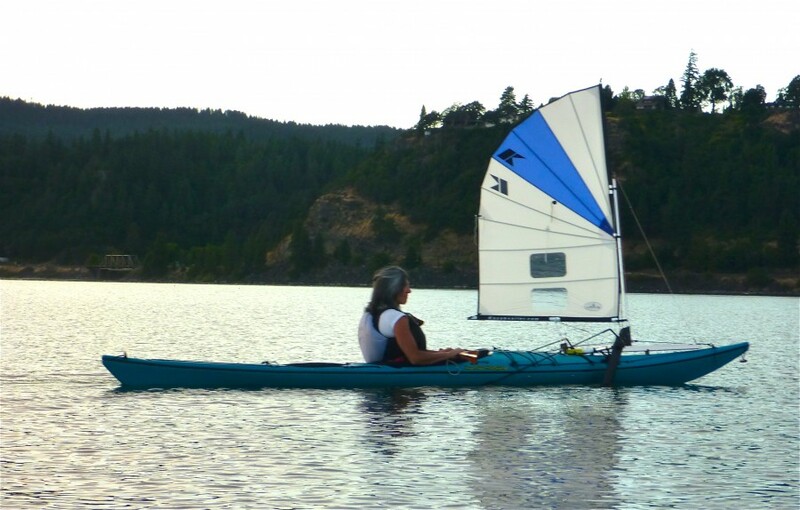 Patti loves how this kayak behaves and steers while under sail. Patti, by the way, is really good at rudderless sailing. I think I have her convinced to do a blog post on the subject. I can’t wait, it should be very informative. 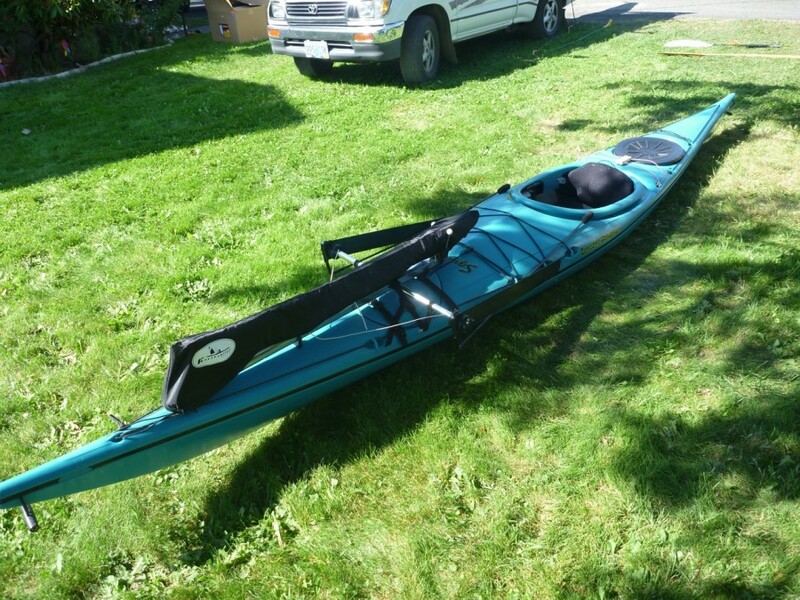 Enough writing, it’s time to get back out on the water. The wind is up! If you haven’t done so already, please consider subscribing to this blog on the right hand column of this page. We love to share.